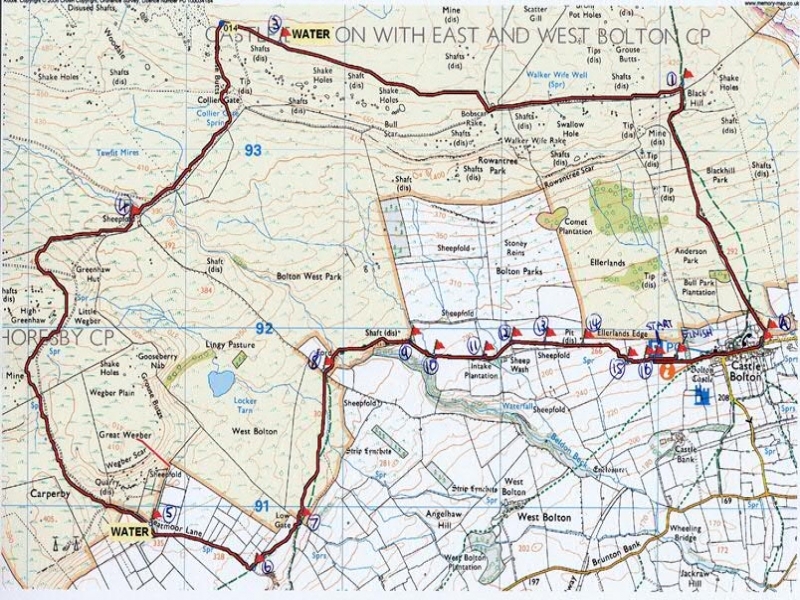 A 14K run over moorland tracks and paths near Castle Bolton in Wensleydale in aid of Rotary charities. 2016 will be the 12th year of the race. Click here for a Google Map to show where we are and how to find us. Click on RUN 2015 for a report on the 2015 race, which was again a big success. An 12th run will take place over the same scenic route on moorland tracks and paths near Castle Bolton in Wensleydale by kind permission of Lord Bolton. 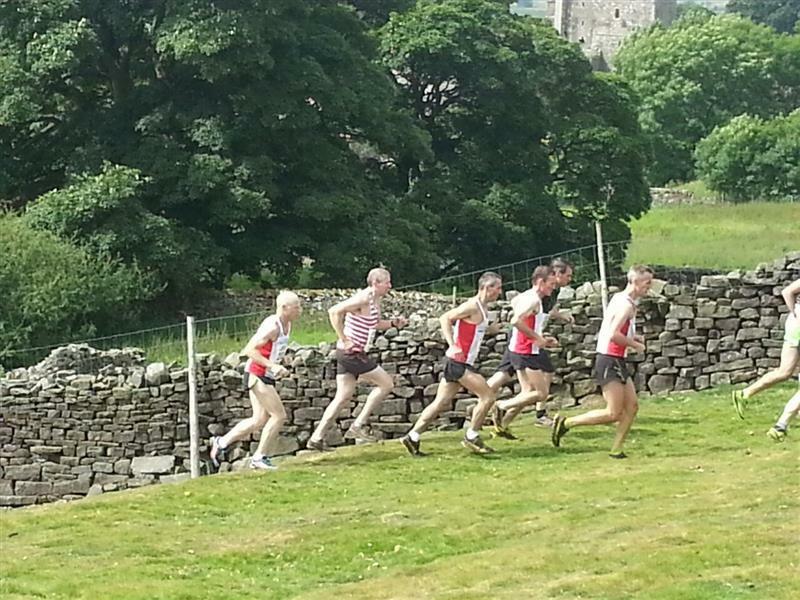 The Start/Finish will again be in the same field, close to Bolton Castle car park. .Traffic free and well marshalled. Start 11.OOam. 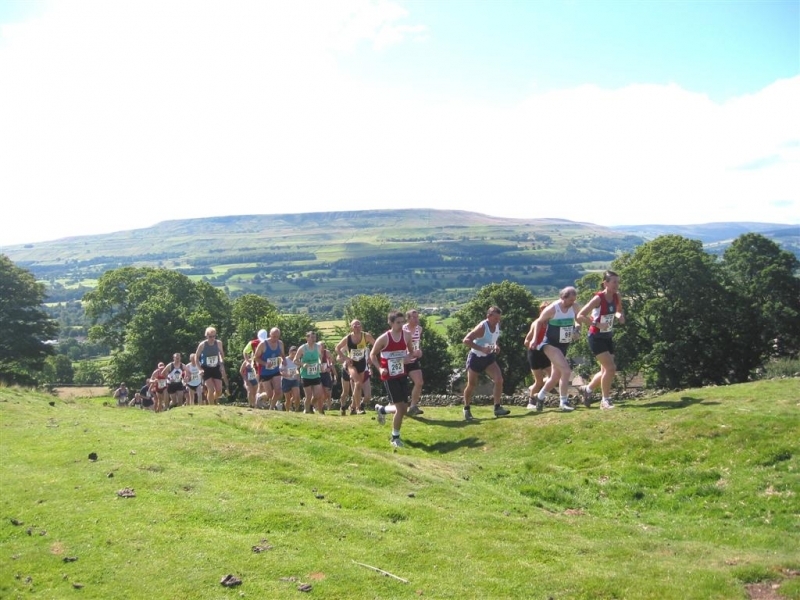 Organised by the Rotary Club of Wensleydale for Rotary Charities, under UK Athletics Rules. Cash prizes for Male Veterans lst/2nd 40+, lst/2nd 50+, lst/2nd 60+; Lady Veterans lst/2nd 35+, lst/2nd 45+, lst/2nd 55+. NB- This year there will be THREE Team Shields; Ladies team of 4; Mens team of 4 ; Mixed team of 2 men and 1 lady. Closing date for entries by mail 25th July, or 6pm 29th July on-line. Entries accepted on the day subject to limit on numbers not being reached - a note will be placed on the web site if such has occurred. If entering on the day, arrive early as car parking limits availabilty. Please send entry with cheque (made payable to The Rotary Club of Wensleydale). Acknowledgement will be by email unless you send a small stamped addressed envelope to; Mr B Whitfield, Hillside House, Patrick Brompton, Bedale, DL8 1JN. A separate entry form can be downloaded by clicking on Entry Form 2016Please ensure your email address is clearly legible to ensure you receive confirmation.